The Worshipful Company of Butchers is one of the oldest of the 110 City of London Livery Companies - we can trace our roots all the way back to 975 AD - and is ranked 24th in order of precedence. Our Livery Company offers a unique centre-point to the British meat industry and is at the heart of one of the country’s biggest and most important trades. Membership unites individuals from all sectors of the industry and beyond, who, together, embrace and seek to enhance the Company’s commitment to Charity, Education and Fellowship. Anybody visiting our famous Court Lunches will be able to testify, not only to enjoying the top quality meat supplied by Liverymen, but also to the unique atmosphere, sense of comradeship and first class speaker at the event. Unique indeed! We continually seek to increase our role within the meat industry. Engagement through regular events, the development and administration of Apprenticeship schemes, development of butchery skills through the sponsorship of competitions, funding of bursaries for meat industry training courses at Harper Adams University, and supporting Nuffield Scholarships are good examples of our breadth of influence. Highly respected within the City of London and Civic Party for our banquets, dinners and even breakfast, we participate in the Lord Mayor’s Show and indeed have our own unique ceremony of delivering a Boar’s Head to the new Lord Mayor at the Mansion House. The event, held shortly after the new Lord Mayor takes office, is symbolic of a payment for rent on a piece of land supplied to the Butchers by the Lord Mayor in 1343. The fact that the City no longer owns the land and we Butchers no longer rent it has not prevented this annual event taking place. Stopping the traffic in the City and posing for photographs as we march through the streets is part and parcel of our tradition. It’s a tradition we’d urge every Liveryman to experience at least once. Again, it’s unique. There are references in 975 AD to a Butchers’ Hall “Where craftsmen meet” and we are proud to carry on that fine tradition with our refurbished Hall due to reopen in summer 2019. Granted its Royal Charter of Incorporation by King James I in 1605, the Worshipful Company of Butchers has been the significant power behind the trade in the City of London and around Smithfield for over a thousand years. Direct links with the Crown go back before the 12th century when rents were extracted for markets and grazing. This close connection continued when Queen Elizabeth, the Queen Mother, became an Honorary Freeman in 1976 and again when the Princess Royal, who takes a keen interest in all the activities of the Company, was installed as Master in September 2010. Livery Companies play a vital part in the government of the City of London, the constitution of which, although unique in the structure of local government in the United Kingdom and enshrined in custom and tradition, is assuredly as effective, economic and democratic as any. Above all, it maintains the position of London as a world centre of business life. Every Liveryman of the City of London plays his or her own part in the government of the City, as all Liverymen must initially become a Freeman of the City of London. This status allows the Liveryman the privilege of being involved in the process of helping to choose and elect the Lord Mayor of London and the Sheriffs of the City annually. Liverymen participate in many of the functions of the City and the Corporation. Accordingly, if one conceives of the City as comprising the Corporation, the great financial institutions, the professional services and the Livery Companies, the true picture is of an integrated and fully representative group representing the power, influence, service and control of the City of London to the outside world. Admission of an individual to the Livery is, accordingly, an act of dedication to the cause of good government and order - and of community service. The Liveryman may earn, indeed may expect to receive if he or she discharges their obligations, the respect and approbation of his fellows. He or she, however, must not expect any personal material advantage or preferment. Interested in joining our Livery Company? Find out more about our venue hire options. 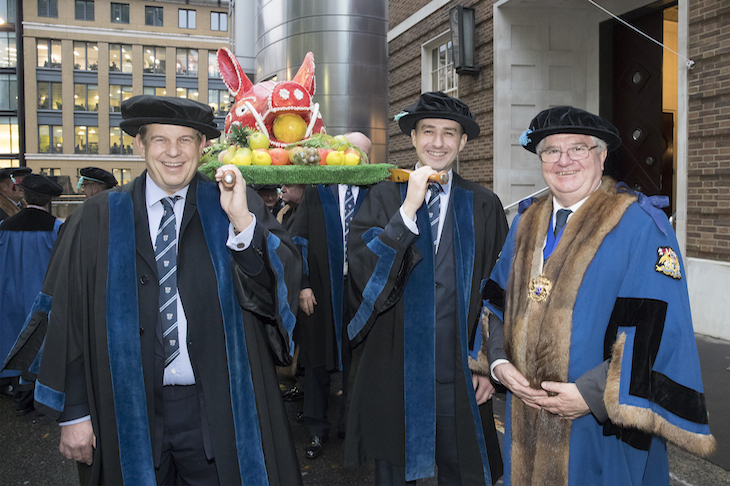 Read the latest news from The Worshipful Company of Butchers.